★★★★★ Great TV. Works perfectly. Has better sound and picture than other expensive 4K flatscreens I have in my home. Shipped quickly & packed well. 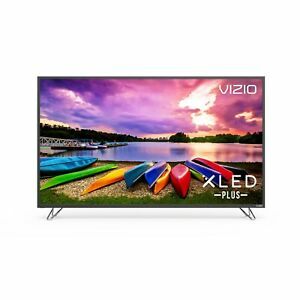 ★☆☆☆☆ I bought a 55 inch vizio refurbished. 4K HDMI input didn’t work. Did send me a shipping label to UPS but good luck finding a vehicle to haul back a giant TV box and trying to repack it. I had to spend 40 bucks on shipping peanuts so I’m out of time and 40 bucks. Don’t sell refurbished items if they haven’t been fully tested. ★☆☆☆☆ Horrible and cheap tv.